When a crosswalk in Austin is marked and is controlled by a traffic control device, a pedestrian has an obligation to comply with the device’s instructions. As such, if a pedestrian enters a roadway, even if they are within a crosswalk when a traffic control device reads, “Don’t Walk” or “Wait” and an accident occurs, the pedestrian may be found liable for damages. As found in Texas Transportation Code Section 552.003 (b), a pedestrian is prohibited from suddenly leaving “a curb or other place of safety” and proceeding into the path of a vehicle when the vehicle is close enough that it is impossible for the driver to yield to the pedestrian. If a pedestrian does suddenly enter the roadway and puts themselves in the path of a driver and an accident occurs, the driver will likely not be held liable for damages that result. While a pedestrian does have the right-of-way in a crosswalk (assuming the traffic control device does not indicate that the pedestrian should not proceed), if a pedestrian is crossing at a place other than a marked or unmarked crosswalk, the pedestrian is required to yield the right-of-way to any oncoming vehicles. The above examples are specific instances of when a driver likely won’t be found at fault for a pedestrian crash, based on statutes found in Texas’ traffic code. However, the fault of a driver may also be reduced if evidence is produced that shows that a pedestrian’s own negligence contributed to the crash. For example, even if the pedestrian was crossing in a marked crosswalk when they had the right-of-way, evidence of intoxication or distraction (i.e. 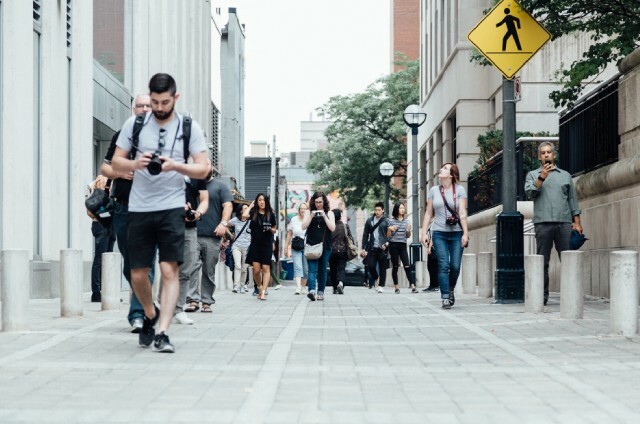 texting while walking) may be suggestive of the claim that the pedestrian contributed to their own harm by failing to exercise the proper degree of care to prevent an accident. As such, the pedestrian’s recoverable damages amount may be reduced in proportion to their degree of fault. If you have been involved in an accident as a pedestrian, you have likely incurred numerous forms of damages, ranging from medical expenses to disability and more. In order to preserve your right to compensation, it’s important that you understand how to prove fault in a pedestrian accident claim. Please reach out to our Austin pedestrian accident attorneys today for a free consultation and information about your options.